Cinematic is becoming one of those words that is overplayed. Like psychedelic, it has a tendency to be overused in the furious machinations of wannabe music writers. I am very guilty of this. However, when it comes to "I did that tomorrow" by the creative partnership of Australian musicians Rasa Daukus and Will Larsen aka TESS SAID SO, it is an apt and fitting title. Their debut album, on the wonderful Preserved Sound label, is a cinematic treat: warm, engaging & wildly expressive - "I did that tomorrow" should be the beloved soundtrack to a highly regarded cult film . Indeed it has a timelessness that points to and belongs with a cult film, the kind of film that acts as a Shibboleth in certain circles. "I did that tomorrow" is piano-based neo-classic expressionism at it’s best. The haunting, evocative, and, at times, energetic piano makes for a very pleasant listening experience. However, when it is partnered with some truly exceptional percussion, the album comes alive. Together TESS SAID SO create something very special idea. The second track - "sometimes never" - is a prime example of how exceptional the percussion is and how ’alive’ this recording is. It is a prime example of how very tight TESS SAID SO are as a unit. The jazz influence is very apparent with flavours of avant-garde & the expressive soundtrack-jazz of Morricone obvious to the listener. The use of a glockenspiel on "Trace" in conjunction with other percussion really sets this notion of & develops the cinematic feel of the recording. This feeling carries through with "planted this to imagine" albeit with the introduction of electronically manipulated field recordings providing a delicious layer of ambience. The experimentation with an ambient undercurrent continues with the haunting "Seven Suns", where the piano comes to the fore & is underpinned with the most energetic percussion. I'd love to see this track performed live, it must be a real treat! Other highlights include the lilting, late-night vibe of "Directly Not Now", a piece that retains a real sparkle thanks to the percussion presented ... and the upbeat "the Snap Beans aren't Salty" with its unstoppable drive and wall-of-sound. 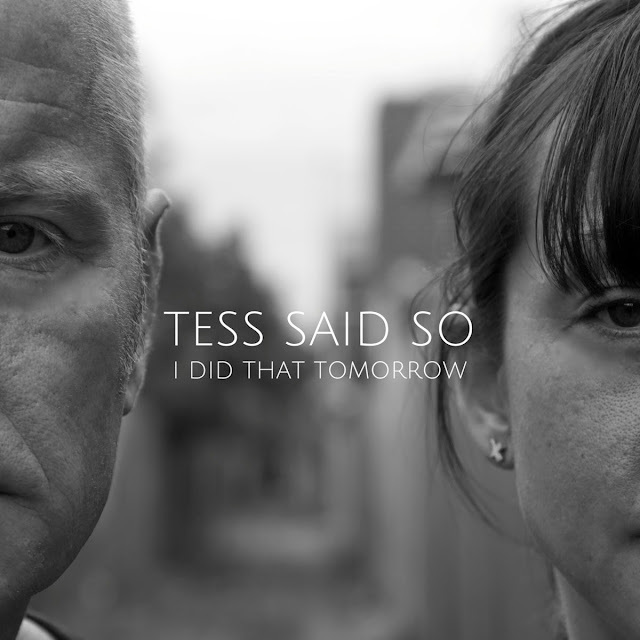 All in, I really enjoyed "I did that tomorrow" by TESS SAID SO and would highly recommend it to anyone with a fondness for the piano or vibrant, percussive, jazz-inspired music. Have a wee listen below and, if you, can ... please do your bit to spread the word.